Steeper Energy has become the latest member of Roundtable on Sustainable Biomaterials! 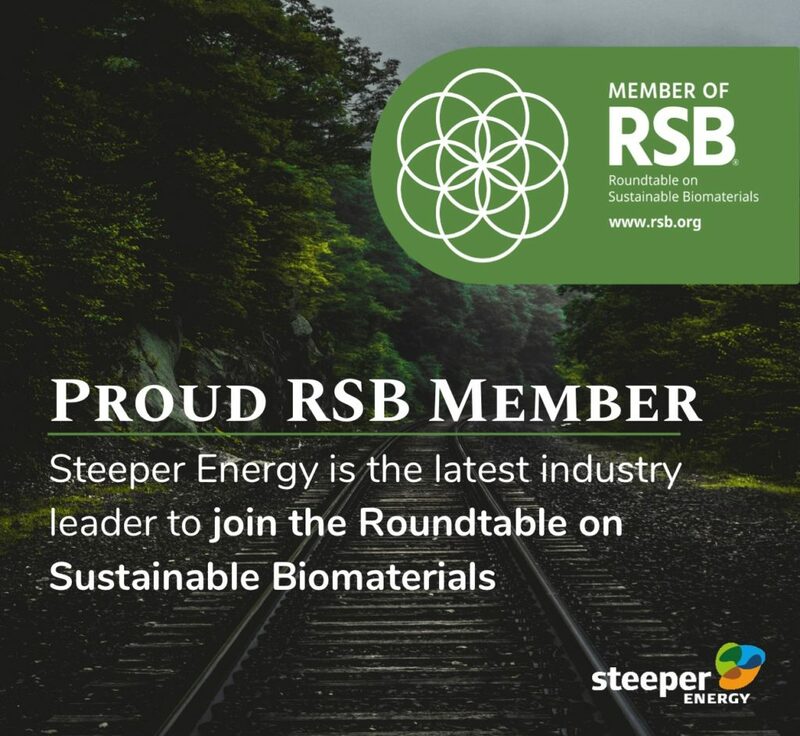 Copenhagen, Denmark – April 2, 2019 – We’re excited to announce that Steeper Energy has become the latest industry leader to join Roundtable on Sustainable Biomaterials (RSB). By doing so, we intend to prove our commitment to producing sustainable, competitive advanced fuels. “Joining RSB is a critical platform for Steeper Energy to engage with other members and leaders in the sustainable bioeconomy.” — Perry Toms, CEO of Steeper Energy. “Steeper Energy is ambitious – about their technology and their potential to shape the global response to climate change…” — Rolf Hogan, Executive Director of RSB. Click here to read the rest of RSB’s note about our recent membership.